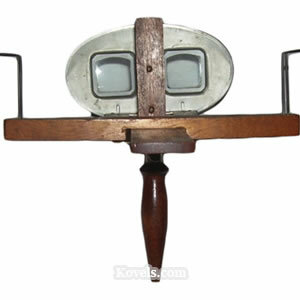 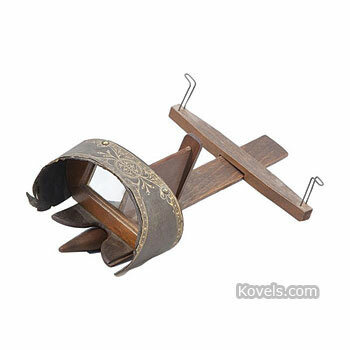 Stereoscopes were used for viewing stereo cards. 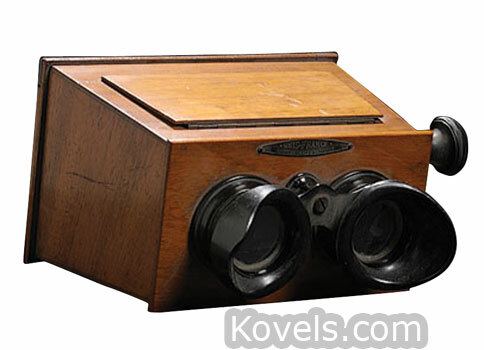 Sir Charles Wheatstone's reflecting stereoscope was the first patented stereo-card viewer in 1838. 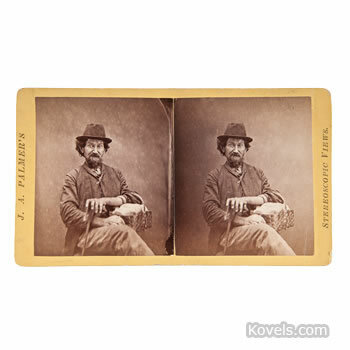 The hand viewer was invented by Oliver Wendell Holmes, although more complicated table models were used before his was produced in 1859. 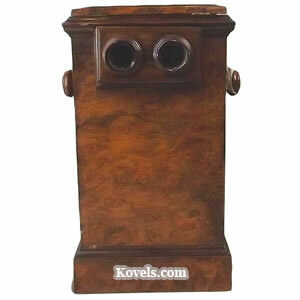 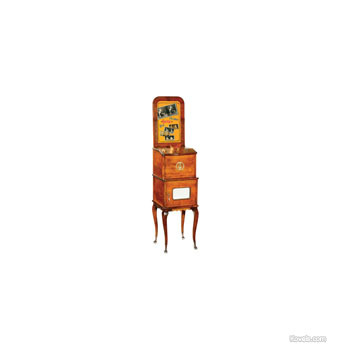 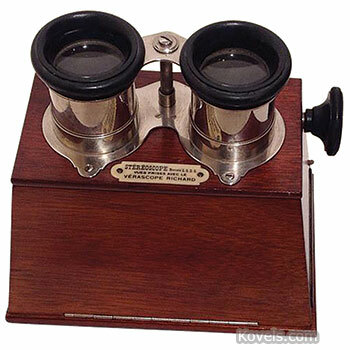 Do not confuse the stereoscope with the stereopticon, a magic lantern that used glass slides.